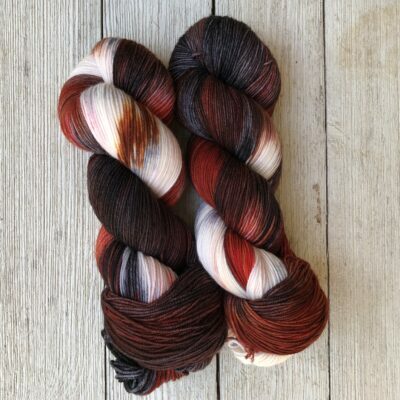 Reignwolf is a variagated color way with reds, browns, gray, white, and black. All of our yarns are dyed in small batches of two. 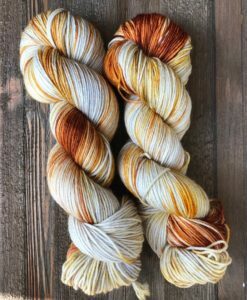 No two skeins will be identical. It’s recommended that you wash your finished item by hand and lay flat to dry.